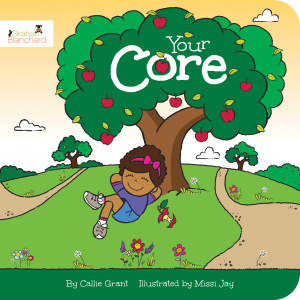 Your Core by Callie Grant is part of The Absorb series. With great illustrations by Missi Jay that coincide with the explanations, they provide preschool children sound teaching about God and their lives as Christians. Using the analogies of an apple and baseball, it shows how the core is an important part of the function of each thing, just as God within us is important to being who He created us to be. My preschooler enjoyed the book and I would recommend it to other parents. I received this book from the Book Club Network and Graham Blanchard Inc. in exchange for my honest opinion which I’ve provided here.